As many of you know, Rolex is a big deal for me. A really big deal. So much so, that at my last hair appointment I told my stylist Jan to schedule my appointment 7 weeks out rather than my usual 5 weeks. "I want my optimal hair to coincide with Rolex," I told her (Jan is a horse person). She looked skeptical. She knows my tolerance for an shaggy haircut is very low. "Don't you dare go to Holiday Hair," she warned me as she handed me my appointment card. I did that once -- got an interim cut -- and never heard the end of it. Not an option. At six weeks my hair was bad. 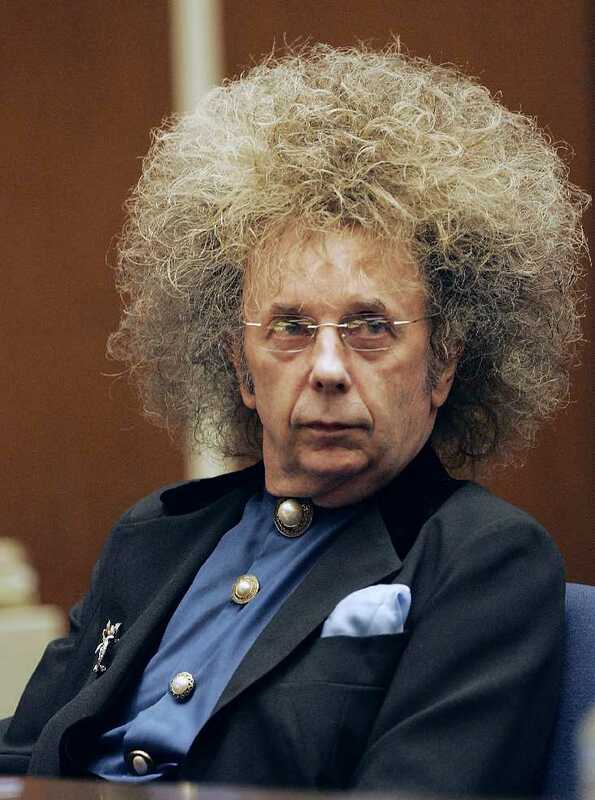 At seven weeks, I'm channeling Phil Spector. The picture (above left) is me this morning looking into the bathroom mirror. Thankfully my appointment is tonight, and nothing will keep me from it. See the lengths I go to (so to speak) to look my best from April 22-25? I don't get it. Who is looking at your hair at Rolex? Isn't everyone watching horses? I don't get it. Who will look at your hair at Rolex? Everyone is looking at horses. Save the money and buy yourself a souvenir. Pana, like Jean I have short, straight hair normally, but I tweak it with a curling iron for work. I don't know anyone at rolex and it's not like I'm a high maintenance beauty. The goal is having hair that requires minimal fuss and adaptability to different weather conditions. There is a short window of time when my hair "falls into place" and looks presentable after rain, wind, etc. Oh, gosh. You do NOT want to know when I last got my hair cut. Let's just say that 2010 was very, very new. I'm hopelessly shaggy but only now am I thinking I'll have some time to get this out of the way. Hoping you'll look your best for Rolex! Ha! I doubt you ever look too bad. I'm a big fan of Rolex as well but am having a super hard time finding any detail on the tv\internet broadcast schedule (I'll be watching at home so my haircut schedule has been unaffected). I would hate to miss a moment... can anyone point me in the right direction? My hair is long enough to put in a bun. (Especially now, I'm using the big bun clamp.) When I travel, I sure don't want to think about clothes or hair, so I put it in a 'ballerina bun' and ignore it. What's really freaky is I think that's a wig in that Phil Spector photo. He's upset that he has to go bald in prison. Well, now he has time to learn to knit himself a hat. I have not heard anything about TV coverage. I've gotten the DVD two years straight and both times they appeared to be defective, and the replacements were defective. So someone should TIVO any substantive coverage. My hair is not my best feature, and one of the joys of aging is that you don't have as much as you did when you were young. And it gets darker (I used to be natural blonde). Those of you with long hair, enjoy it! I used to have naturally curly hair. Now it's naturally straight. Loosin' my lustre. This Saturday is the Grand National from Aintree England. It might be on HRTV Saturday morning. 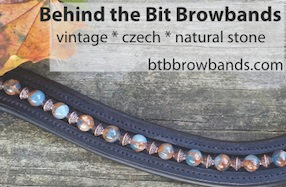 Post time is 1615 UK Time, 0915 PDT 1215 EDT. That's too bad about the Rolex DVD's. I get a DVD every year from the UK covering the National Hunt racing season. Super fast service and high quality discs. I remember the good old days when Wide World of Sports showed the Grand National and ESPN had polo at 2AM and show jumping every weekend. I live in a town with lots of Portuguese people, and the community cable access channel used to have Portuguese bullfighting along with the portugese news broadcasts. Now they don't even have the whacky conspiracy cranks!